Party people, it’s still the great month of November which means that GOALvember is still very much in effect. I am keeping my health and wellness goals strictly on point until I head back to the U.S. for the holiday season, at which point I will joyfully allow myself the American excesses of eggnog, cookies, and locally brewed craft beer. 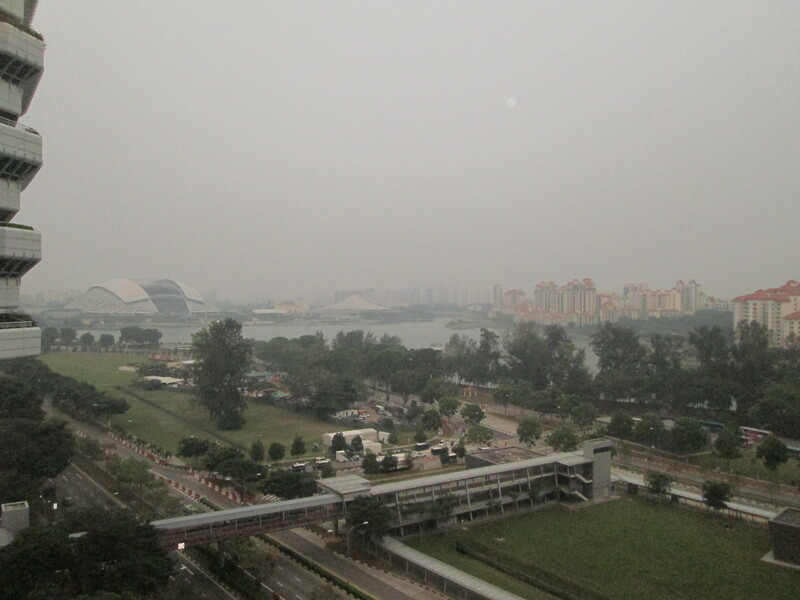 For example, running once a week in the death humidity, heat and haze of Singapore seemed like a pretty decent goal…in late September. Fast forward to now when it’s beautiful blue skies, slightly cooler (I mean, it was only 75 at 6:20am this morning! ), and oh yeah, I’m registered for a Ragnar Ultra Relay. What’s Ragnar Ultra, you ask? Oh, nothing much. Just a 200 mile (321+ kilometers for you overaseas readers) footrace for time with only 6 runners, one van, and no sleep. And yep, believe it or not, this was MY great idea (of all things) to make the most of a trip back to the States in April. Luckily I have the best team on Earth to train with, so even remotely I know we’ll keep each other on our game. Continuing my love/hate relationship with yoga, I tried two new studios this month – RealYoga at The Centrepoint (think “legit” Indian style bendy yoga with an instructor seemingly determined to tear me in half) and Wings to Wings near Chinatown, a studio I found on my newly obtained Guavapass membership (jury’s still out on the GP, by the way, since it doesn’t have an app and seems to have far fewer studio options than my beloved Passport). Clean eating is going well also; it’s getting more habitual to grab a salad for lunch (although today I did break down and get some delicious vegetable spring rolls – still veggie servings, dammit), my new obsession with sous vide everything means I’m cooking at home pretty much every night, and those vicious Tim Tams have finally made their way OUT of my house (for good). Finally, in the spirit of renewal and self-betterment I even took the time to clean out my closet (a quarterly ritual for me back home; first time I’ve been able to do it here in six months of living) and put aside a dumpload of clothes for donation. As always, purging feels amazing – but I can’t wait to acquire some great new pieces during after-Christmas sales back in the good ol’ US of A. Have you set monthly – or “before year end” goals for yourself? How are you progressing toward your best self? Hey guys, it’s been a while. 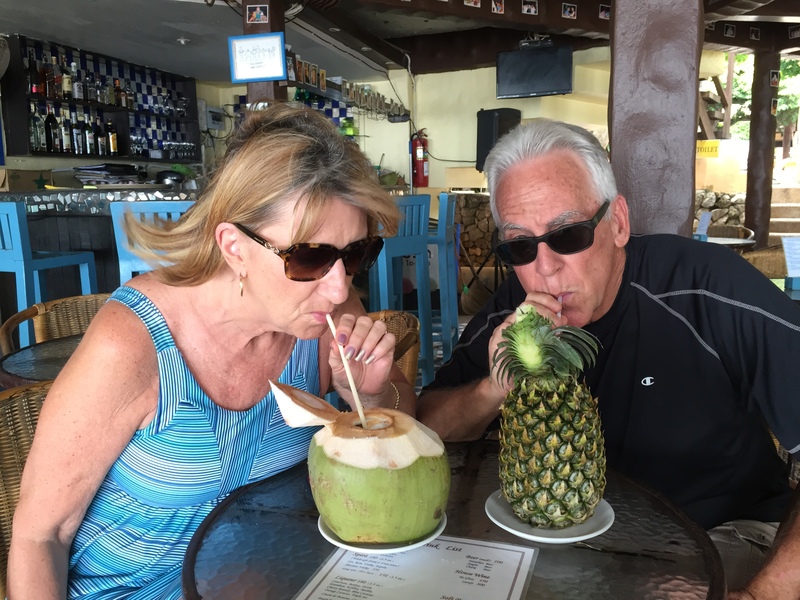 Sorry for the delay – my parents were in town over the past month and while wonderful (truly wonderful! ), it set me back a bit on the blog end of things. 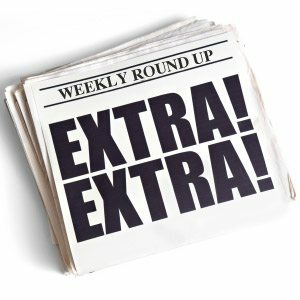 But I’m back – and I have a lot to report. First of all, can you believe I’ve been in Singapore for FOUR full months? I hit the 4-month mark on Tuesday, and to be honest, it really is starting to feel like home. I’m excited to get to six months as I feel like that’s really some sort of “established” goal time (and will also be our first expat Thanksgiving), but even at four it’s feeling nice and cozy. 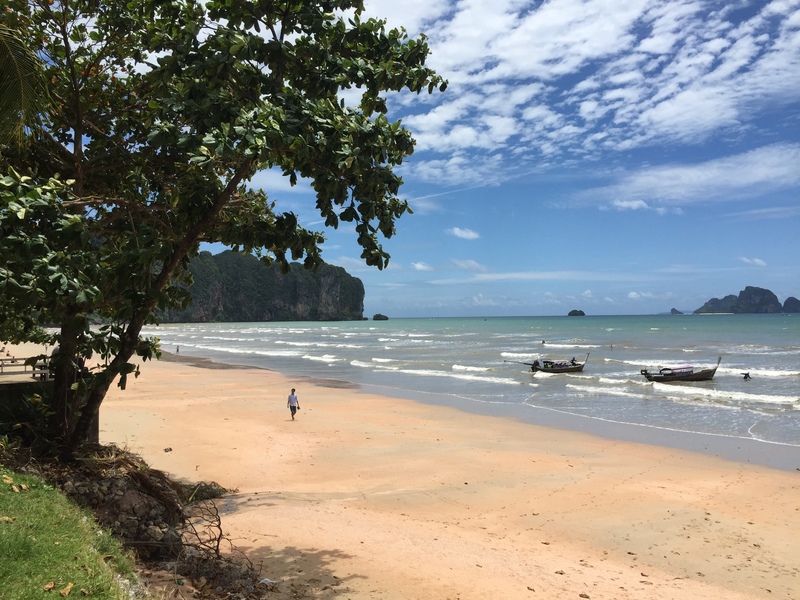 That said, toward the end of my parents’ visit to Singapore, we snuck in a getaway to Thailand – Krabi, to be specific, beach paradise and gateway to the islands. Sure is beautiful, huh? Too bad it looked like this for approximately 45 minutes of our entire 4-day stay. Turns out that whole “monsoon season” is a real thing. Despite getting rained on every moment of every day (poured at breakfast, poured on the boat tour, poured as we tried to shop, poured all the way to the airport), we had a great time – we managed to sneak in some hammock time between downpours, eat a TON of great food (my personal fave? Green curry beef, of course) and maybe imbibe a bit, often out of a piece of fruit filled with delicious booze. 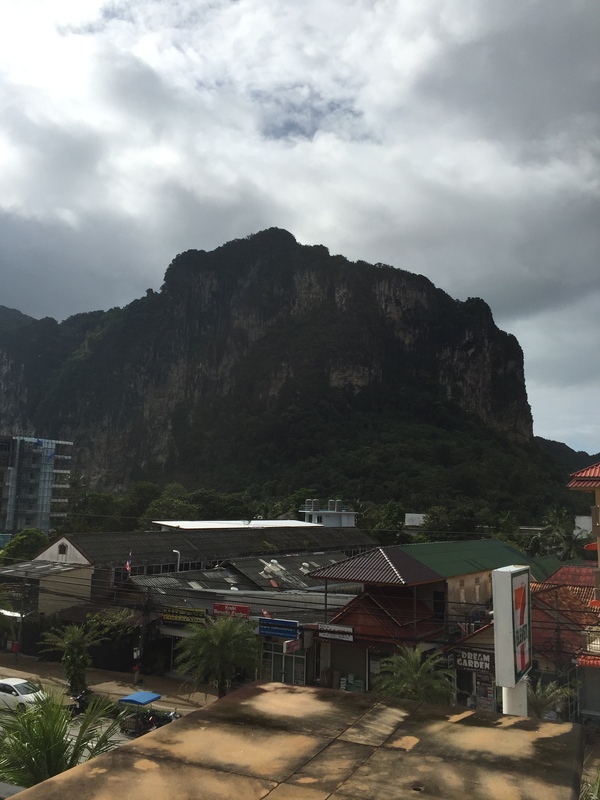 Some might say we were crazy to try and make a Thailand trip happen in the rainy season, and those people might be right. But don’t worry, we don’t take advice very well – Nick and I are headed back (this time, to the utter insanity of Bangkok) for the upcoming Asia Fitness Convention. But enough about travel, smoke and business – let’s talk about something a little cmore personal, shall we? After nearly a month of eating, drinking, and general merriment with my parents in town, both my husband and I realized that we’d really start to let ourselves go when it comes to personal care. Care for some examples? I’m sure there is more but I won’t even allow myself to regale you with the full monty of our health and wellness sins. Sure, I’m still working out regularly (nine Spin classes a week will kind of do that for you), taking Crossfit classes, and getting my 20K daily steps. But it’s time for a real shakeup in the ol’ lifestyle – so behold – the Great ROCKtober Challenge. The Great ROCKtober Challenge is really a misnomer, as it’s not really a “challenge” in the sense of a competition, and it’s not necessarily that rocking. It’s more about returning to a healthy frame of mind and way of living that will give us both more energy, better eating habits, and a stronger mind-body connection by the end of the month. The basic tenets? 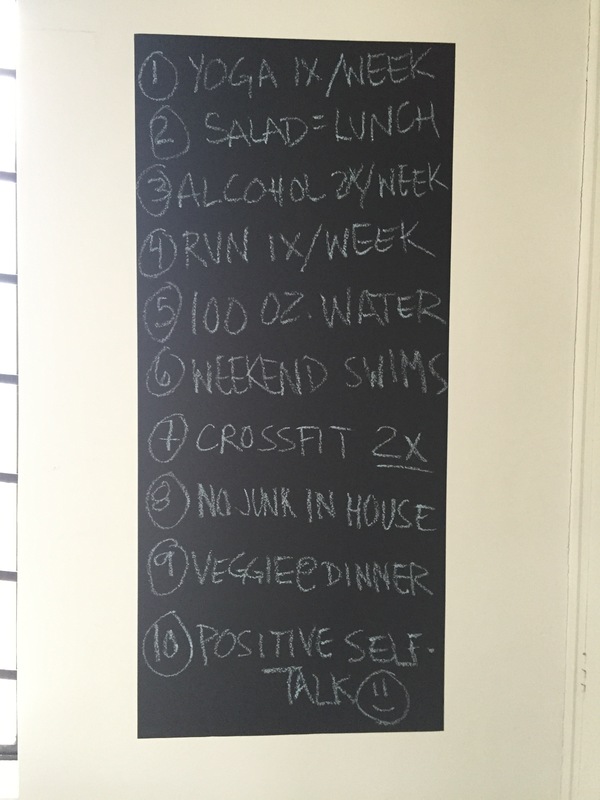 I laid out 10 weekly goals for myself right where I can see them – in my dressing room – and these 10 concepts (simple stuff, like eating vegges with dinner, getting yoga in once a week, or engaging in positive self-talk) will guide my habits throughout the month. Do I hope weight loss is one outcome of the challenge? Sure, and I’ve taken my measurements and body fat percentage to make sure I stay on track with that part, too. But this challenge is mostly about getting myself back to the place where I feel my best – eating well, moving with intention, and giving my mind time to rest and recuperate. What are your goals for the coming month – or rest of the year? I’d love to know your strategies, too! 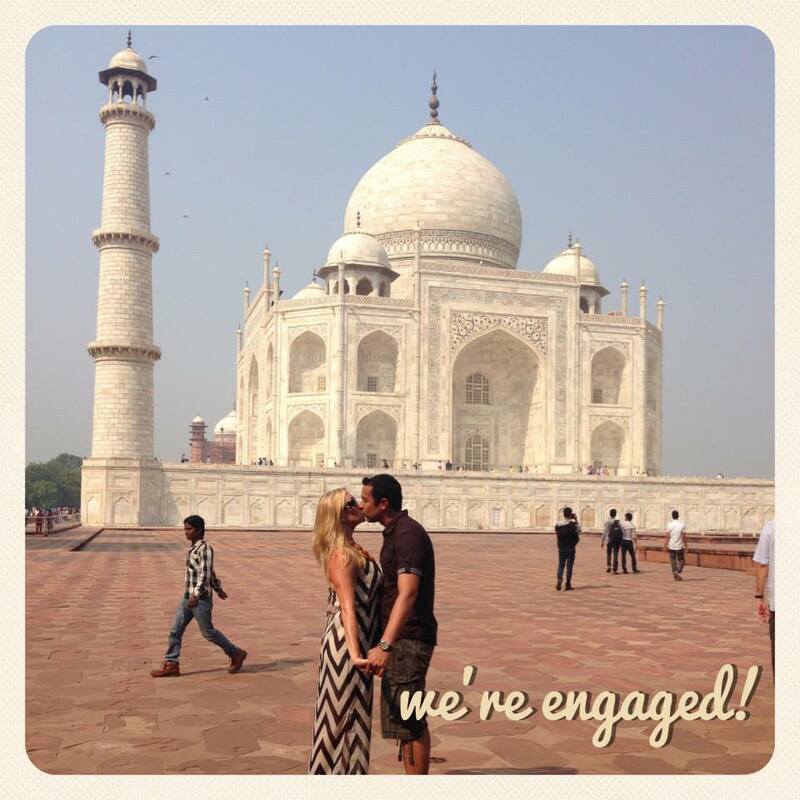 Last year (October 16, 2013, if you’re tracking) I got engaged to the love of my life – so this year, I have been thankful all year for my fiance, our wedding plans, and the promise and excitement of our life together. As a personal trainer, nutritionist, and wellness coach, I get a lot of questions from clients and friends about health and wellness – and if I may toot my own horn, I do feel that I give professional and helpful advice (check me out on the #AskAmanda thread on Twitter!). I wanted to have a place to give that advice not only to clients and friends but to anyone who wants to read it, and also to open a dialogue about what it’s like to be me – usually fitness-oriented, but not always. It’s just real. What is your favorite thing to do in Southern California in the fall? 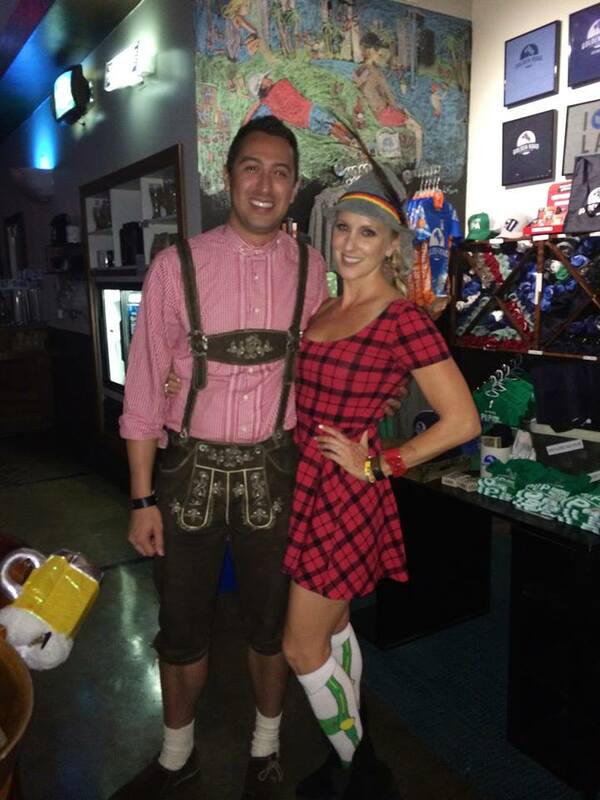 Since the end of September technically counts as fall, my favorite thing to do is go to Oktoberfest with my family – either Alpine Village or Old World (or both!). But since that part of fall is already over, I’d have to say my favorite thing is simply to get out for a decent run and have it not be 75+ degrees (I typically have to run midday!). Also – listening to nonstop Christmas carols on KOST 103.5 brings me the greatest joy in December. What ar e the three items in your closet you can’t live without? So then – what are you thankful for? As I said around my holiday table, I am so thankful for my family, my friends, and my health – these things alone are the basis of lifelong happiness. But even more than that, I am thankful for everything in my life that allows me to enjoy that type of happiness – the loyalty and thoughtfulness of my closest friendships, the enduring unconditional love of my family, and the security and worth in the job that I do that allows me to stay healthy and well. Readers, what are YOU thankful for? I’ll be honest: the holiday weekend totes got the best of me. 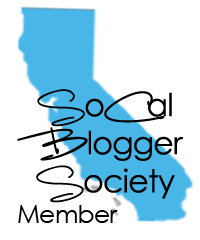 Here I was on November 1st, rocketing toward #NaBloPoMo (National Blog Posting Month) success, blogging every day – and now here I am on November 30th, having not blogged in nearly 5 days. Five! That said, the days in between my last entry and today have been filled with joy, family, beer, and even a little bit of rain – which means they’ve been about the best days I can imagine. So let’s get moving onward to what’s going around the internets this holiday week! If you’re looking for the ultimate classy gym bag for the stylish man (or woman!) in your life, look no further. While you’re at it, check out the absolute most fabulous yoga mat I’ve ever seen (and this is from someone who practices on a blue zebra-print yoga mat). And you guys, have you seen the trompe l’oeil “sequined” workout wear from lululemon? They’ve outdone themselves this holiday season. Ok but really, who knew H&M had such fabulous, well-priced workout wear? Moving on from my fitness-focused shopping list, let’s consider what any woman might want on her Santa list this Christmas (clueless folks, this is a great starting point). Ever wondered what Dave Asprey, founder of Bulletproof coffee, might have in his fridge? Spoiler alert: it’s shockingly healthy. Pumpkin spice lattes, you’re done: coconut hot chocolate exists. Free YouTube workout videos are the gift you can give yourself. Daily. What are you checking out online this holiday season? Any #cybermonday tips for me? I swear my brain is programmed to desire shopping more during the holiday season. We’ve been indoctrinated from a young age that the holidays are for gift-giving, and with Black Friday less than a week away, my urge to shop is rising. And I’ve been giving in. Case in point? This weekend brought mini-splurges at the Bella + Canvas sample sale, a friend’s Chloe + Isabel show, and even Bed, Bath & Beyond (where I found this amazing hashtag light-up sign for the wedding!). Sigh. Who am I to fight the power of the season? That said, I haven’t done an On My Radar post in a while, so here we go – a special holiday edition of OMR – perhaps more like a Dear Santa? Enjoy! Is there anything more calming than the scent of chamomile? I was recently tipped off to an amazing eye makeup remover that smells of it, and I am now obsessed with slowly making every scent in my bathroom include some hint of chamomile (even better: with honey!) by the end of the year. 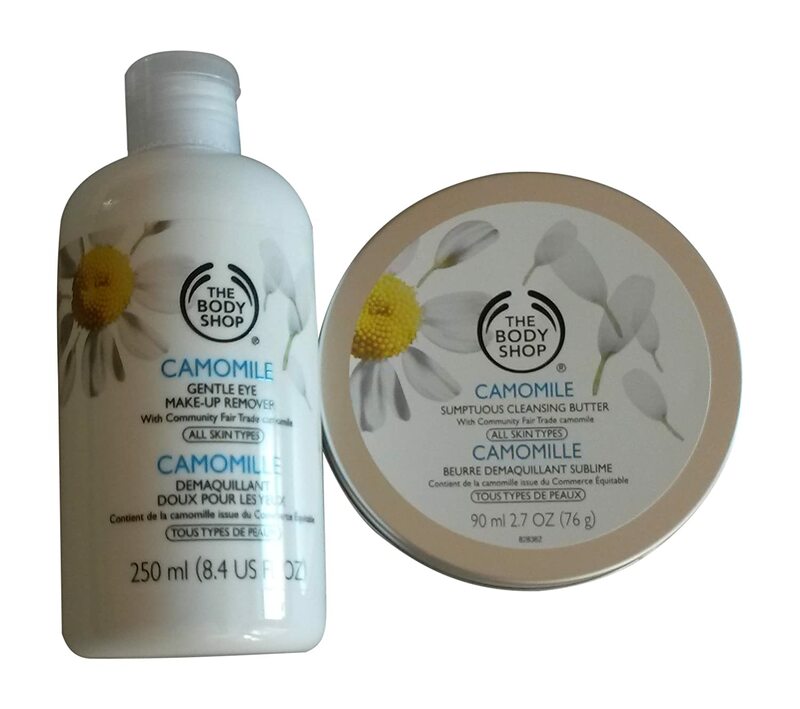 Come to find out – the Body Shop has a whole line of the stuff, in varying levels of intensity. Just say ahhhh…..
I’ve gotten so used to my old, stinky, black gym backpack that I forget there are actual cute, stylish options out there. This one is deceptively glam, with a Birkin-bag look and amazing functionality (yes, it actually holds a water bottle, gym clothes, and shoes in there!). I have no idea how much shipping would be as this one’s only available across the pond, but dang, is it nice to look at. I’ve been really hooked on this metallic teal eyeliner I’ve been wearing lately, and it’s got me thinking: what other colored eyeliners would really pop? Cue the Dior Addict-It liquid eyeliner in hot pink – I am pretty sure I need it, whether I layer it with black (the subtle way) or lay it on thick across my eyelids (the Manda way, let’s be honest). I found it once at Sephora but haven’t seen it again since, and I fear it will be discontinued before I actually get up the courage to bite the bullet. Of course I love jewelry – my favorite mug (given to me by a dear friend) reads, “Accessories are Necessities” – and it’s true! But what I don’t have is the perfect simple-yet-statement necklace that is versatile (gold-plate goes with everything!) but creative enough to actually make a statement – oh, and did I mention it’s cheap to boot? 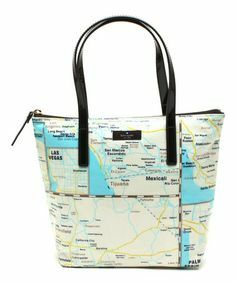 This is a total find and would be adorable for any world traveler – or those with world traveling aspirations. If any of you out there reading are my personal training clients, you know I love me some Bosu. The Bosu (which for the rest of you is that weird half-ball thing you see floating around gym floors) comes in one color: blue. That is, until recently. They introduced a beautiful hot pink one (priced almost 50% higher than the original, natch) to raise money for breast cancer research and as soon as I saw it, I knew I had to have it. 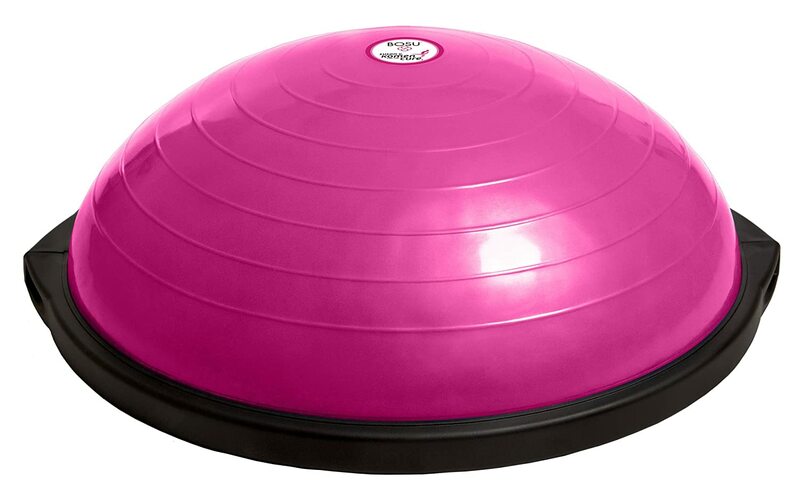 Who wants a plain ol’ blue Bosu when you can have PINK?!?! I mean, come on. I just realized that pretty much everything I’ve posted here is either a beauty or fitness product (what does this tell you about my life?). Let’s break the mold here with something really wild – home decor! Ok, maybe not so wild. And I just realized that I already have the map theme established with the necklace above – but whatever, I love maps. And this Cost Plus 6-Canvas Map Set is such a cool way to display a map in your home without looking cheesy or overdone. I can totally see it on the massive white expanse that is our living room wall. 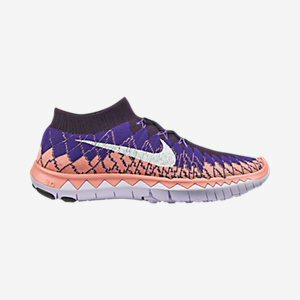 And finally – the piece de resistance – even though I just bought two amazing pairs of sneakers from the Adidas outlet sale, I can’t get my mind off the sweet sweet kicks that are Nike Flyknit Free 3.0. They just look so dang light and socklike, yet still functional and appropriate for both work and looking awesome on the street. One day I will have you, my pretties (and hey – they’ve already marked down from $140 to $99, so anything can happen). That’s my Christmas list in progress, guys, but I’d love to hear what you’re looking for this holiday season! What’s on your Dear Santa list? What can’t wait for Christmas – i.e. what’s on your Black Friday list? STOP – before you go on living, behold the new Beyonce video. It’s absolutely amaze. Sometimes you want a little beauty luxury, but your pocketbook says no go. These cheapy treats make it possible. I am obsessed with texture in decorating. These ideas make it look cool and not cheesy. I don’t typically wear calf compression sleeves when I run – but I could start. Oops, I just went double-Yonce on this b*tch. But this other new video sparks a little controversy and I like the beat to boot. There are ways to have a “healthier” Thanksgiving – but starving yourself and using low-fat products aren’t it. Can’t we all use a new, super-tasty green juice recipe? Want to get massively depressed about life? This student loan calculator breaks down how long it’ll take you to pay back your loans – based on your major. What’s buzzing in your corner of the internet world? Share in comments!